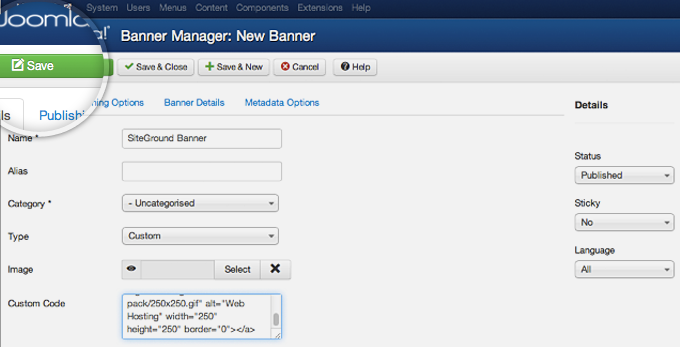 Joomla 3 comes with a component for managing banners. It allows you to add banners, organize them into categories and display them in different places on the site. You create the banner by logging into the admin area and going to Components -> Banners -> Banners. On this page, click on the green New button at the top left part of the page. You fill in some information for the banner and its code. The first is to choose a name with unique meaning to easily organize later. Adding is a Customize Type drop down menu. Finally, paste the banner into the Code field. Customize and press Save & Close. 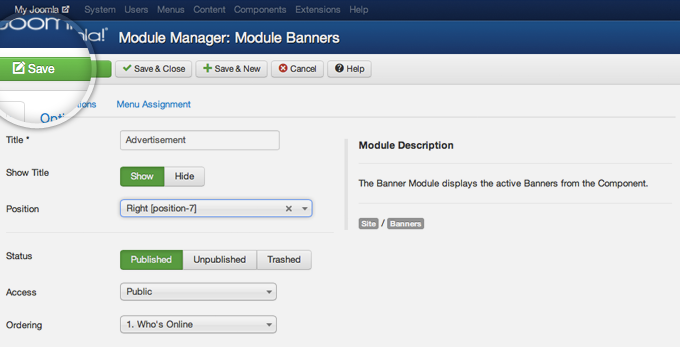 Now you need to publish a new module to display your newly embedded banner. To do this go to Extensions -> Module Manager. 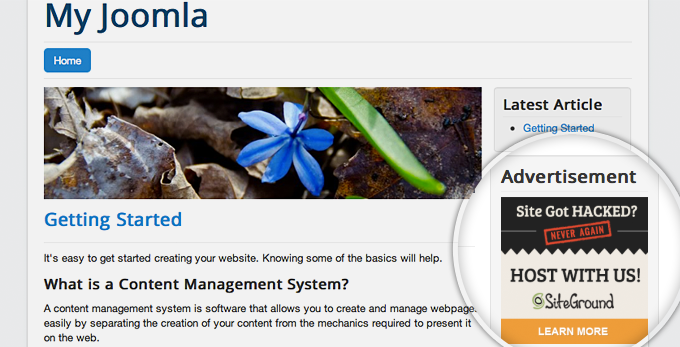 Once more, press the green New button in order to add a new module to your site. 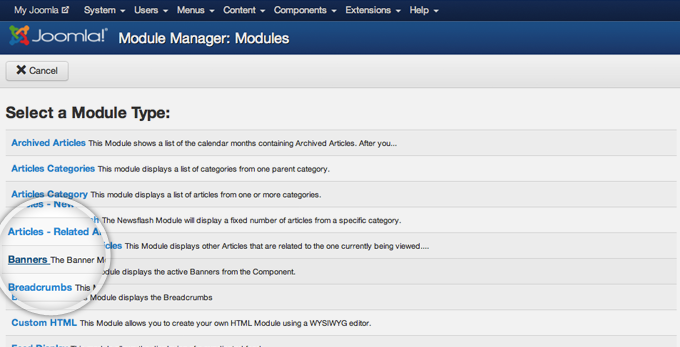 Joomla 3 will provide you with a list of the available module types that you can choose from. Simply click on the banners type. You select the title for the module and the location it will be displayed. Note that the available locations and names depend on the template you are using. When selecting the title and location for the module and pressing Save on the left side of the page. That’s it! You can now browse to your website front-end and see your newly created banner.